​Tear out and dispose of existing concrete areas, set forms, wire mesh, stone base (compacted), required isolation joints and contraction joints, concrete mix, choice of finishes (Float, Broom, Stamp & Steel Trowel). 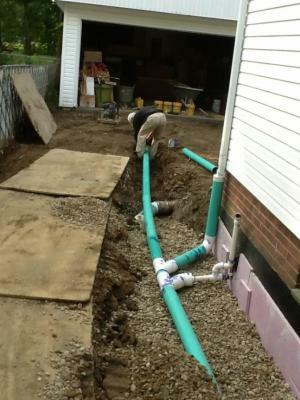 If slop cannot be maintained sewer drain will be installed. We recommend a water cure instead of curing compound or cure and seal. We do offer curing compound or cure and seal instead of the water cure for customers that prefer that method. Please wait 24 hours before walking on top of newly poured concrete. Please wait at least 10 days for vehicle traffic. 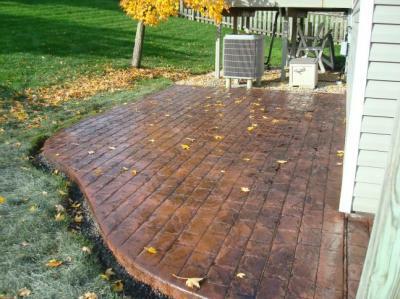 We recommend application of concrete sealer after the water cure. There are two available options: Membrane and/or penetrating sealers. 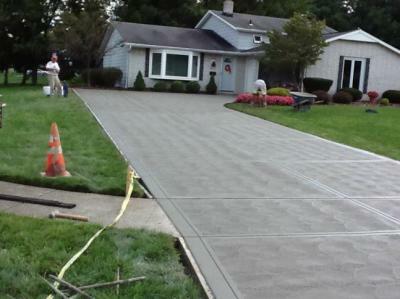 Membrane sealers sit on top of the concrete and penetrating sealers penetrate into the pours of the concrete. 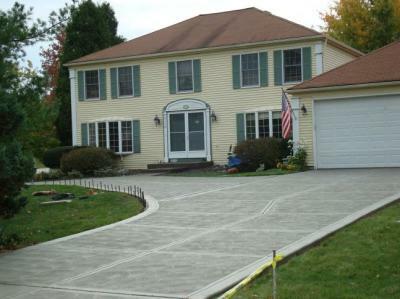 When applying sealers make sure the concrete is clean and completely dry. Snow and ice, along with de-icing chemicals collect in fenders of automobiles and will drip onto concrete when parked. 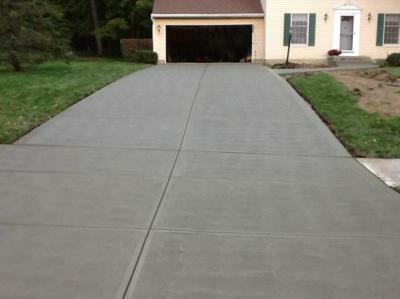 Avoid exposing concrete to de-icers. When possible park automobiles in heated garages. Snow should be removed by sweeping and shoveling. 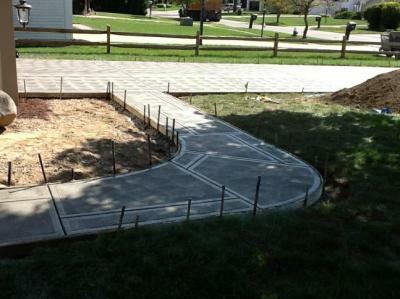 Avoid grass fertilizers near new concrete, it may cause discoloration.